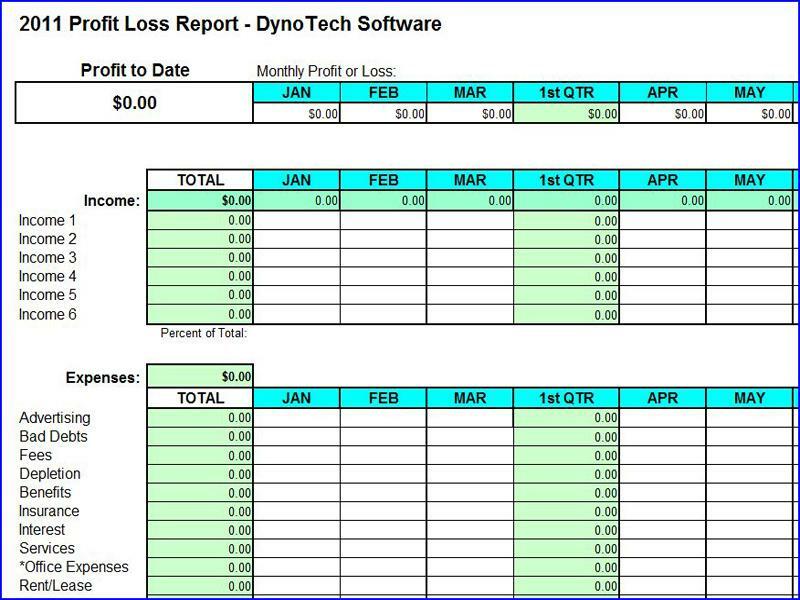 Profit Loss Report Spreadsheet Excel spreadsheet to track income and expenses for small business. Easy to use. O in short: Award-winning Excel spreadsheet is a simple alternative to accounting software for a small business to track income and expenses. Easier for you and tax preparer when tax time rolls around. Save time money and tax time headaches. Requires MS Excel. Quick and Easy Navigation. Select main report, data entry page, specific month or loan calculator by clicking on a tab. No complicated navigation required. Includes pop-up calendar for date entries. Click a button to insert additional rows for monthy entry pages. And, much more. Everything is quick and easy. NOTE. Requires MS Excel 2000 or higher. Macros may not be compatible with Open Office Suite or MAC computers. Works with Windows 7 and MS Office 2010. System requirements: MS Excel 2000 or higher, including Office 2010. Macros not compatible with Open Office Suite or MAC. See above information and user's reviews about Profit Loss Report Spreadsheet Excel spreadsheet to track income and expenses for small business. Easy to use.